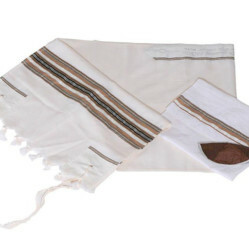 Brown, the symbol of wood and earth is the only colored used to decorate this religious piece of clothing. 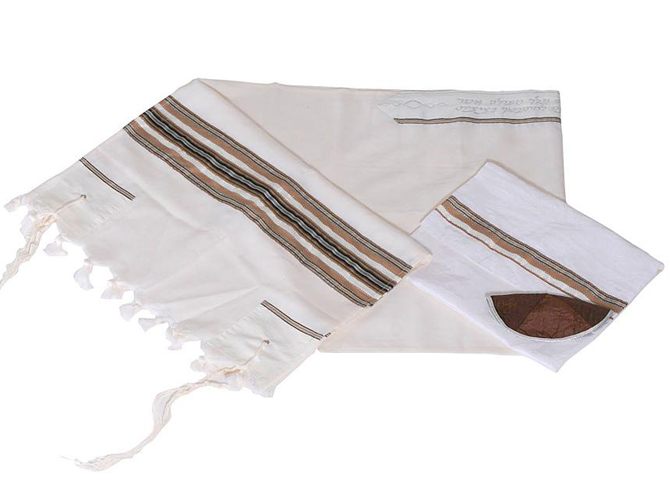 But there are various tones of brown, from the light bronze color to the dark brown evoking the fertile soils. 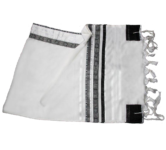 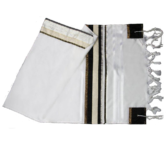 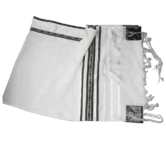 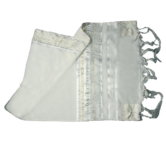 As the bronze refers to the indestructible faith, to the whole truth able to stand out in any type of judgment and the dark brown to prosperity and fertility, this tallit set (shawl, kippa and bag) is the perfect choice for a wedding ceremony.